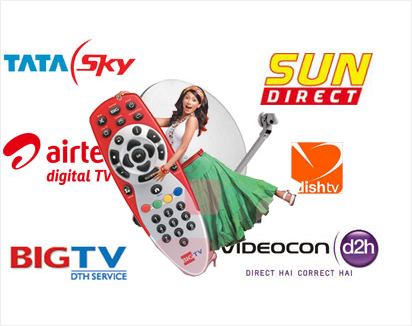 DTH Recharge-online comprises a team of professionals working ceaselessly for the betterment of our services. Coming from diverse verticals of life, we have a pooled expertise. The approach is palpable, we devise something that we deem worthy of our personal use. We listen and spend ample time to discern our users and understand their needs. Everything starts with an in-depth scrutiny of an user's experience, right from creating an account at allbillpay.com till the time they're done. This fine-tunes our services. A consumer's time is of value and we would never indulge in any form of spamming or misleading. Our only goal is to simplify. Besides flexibility, we endeavor to build user-friendliness and trustworthiness. We adopt the finest high-end technologies obtainable in the industry to provide greatest services, without compromise on quality. We sing out simplicity, best reflected in our accessible home page, and this rhythm is maintained in the site. We are the only business in the world who don't like to detain people a minute longer than they require to stay on our site or use our apps. We assure this prompt service forever. We believe in setting a yardstick that's high enough, and by doing so, we achieve a greater degree of success. Committed team members handle everything, starting from arrangement of the balances for all the service providers and operators, system maintenance, offering training sessions and answering the queries of our precious customers. Innovation and learning is our strategy, we devise procedures that function and improve upon those ceaselessly. Our knowledge team is supported well by the intelligent and progressive marketing and administration divisions. We strive to give the best to our users so as win their trust and loyalty. Our recharge system is consumer-friendly and you would not have to be concerned about any issue. We uphold an open culture where everybody is a practical contributor and is comfortable in sharing ideas and views. Our team brainstorms to refine every detail of a new-fangled feature, fixates on every bit of the web pages and apps. We strive to serve you, rather than satisfying our individual goal or bottom-line. Through continued research, we are able to unravel complex puzzles and offer steady improvements.